As his poll numbers plummet, Republican presidential nominee Donald Trump is doing everything he can to boost enthusiasm for his candidacy among Religious Right leaders and the conservative white evangelical voters who make up an important part of the GOP’s political base. Trump promised the hundreds of conservative evangelical leaders he met with in June that he would make the Christian Right more politically powerful by doing away with legal restrictions on overt politicking by churches. This week Trump will reportedly be pushing that plan as he heads down the well-trod path to the far corners of Christian nationalism. 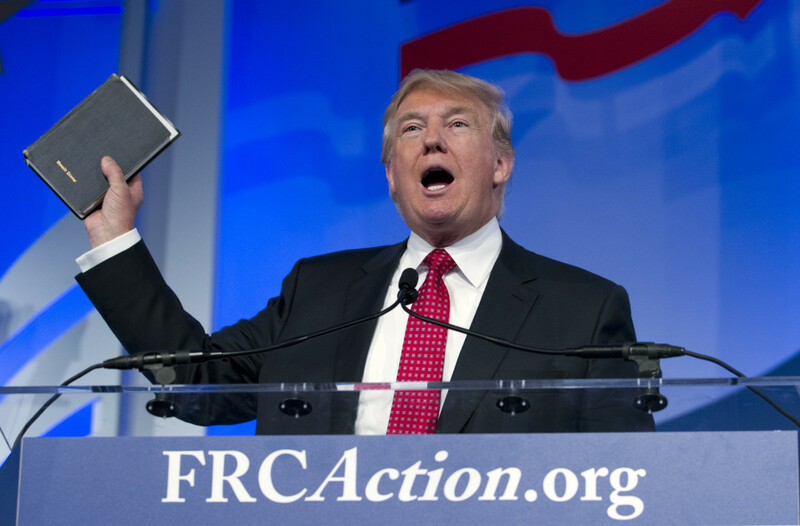 Now, according to news reports, Trump will be joining former foe Marco Rubio and a bevy of anti-gay speakers at a Rediscovering God in America event in Florida this week sponsored by David Lane’s American Renewal Project. Lane has been organizing these political matchmaking sessions for two decades, bringing Republican politicians together with evangelical pastors who Lane hopes will transform their churches into conservative voter turnout machines. Jerry Falwell Jr., Trump’s biggest evangelical booster, reportedly “played a key role in initiating” the appearance in Orlando. What is the vision of America that David Lane is pursuing, with Donald Trump and Marco Rubio’s help? Lane believes that the United States has a covenant with God to advance the Christian faith. He denounces pluralism, secular government and court rulings upholding the separation of church and state. He wants the Bible to be used as the primary textbook in public schools. 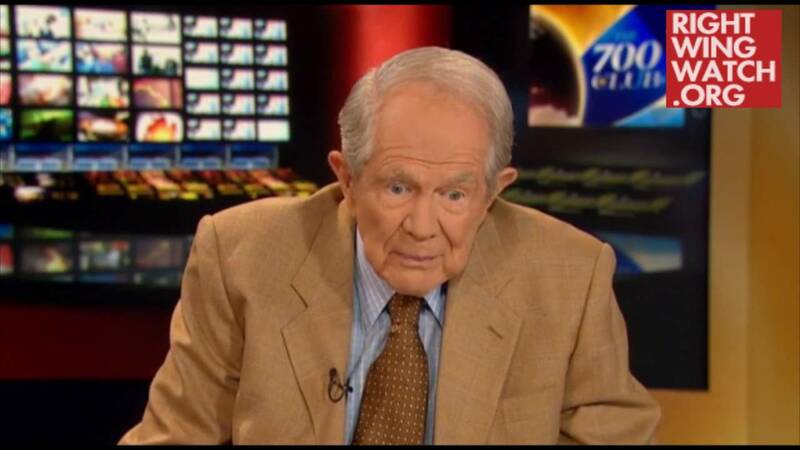 He is wildly anti-gay and has demanded the impeachment of judges who rule in favor of marriage equality. 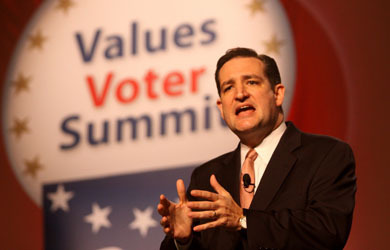 Trump’s complaint that politicians are “selling Christianity down the tubes” speaks to Lane’s belief that Christians are facing persecution in the United States. On a 2014 trip to Europe he organized for a group of pastors from swing states and presidential hopeful Mike Huckabee, Lane drew a comparison between 1930s Nazi Germany and modern-day America.